You fish an area for 2 -3 hours that you know has fish….you catch nothing so you leave and you see another boat pull in after you leave and you see him catch the fish you were there for. When you take a “friend” out for a day of Bassin and burns a hole in your Bass boat carpet when he drops a cigarette on your deck and says “Oh well, S–t happens and laughs. Guys who always use your bait. The guy at the weigh in who “lost two 8 pounders at the boat” …every tournament! Having your vehicle and your buddies truck broken into and articles stolen at the launch ramp. Really makes the day end poor. Dock owners installing sensors that set off sprinkler systems that wet anglers if they get to close to their docks. Boaters running down the lake at high speeds in dense fog. Take a buddy to your honey hole and he says he won’t tell anyone…. Then you see him and another guy fishin it the next week. Having a partner in a buddy tournament who shows up late and hung over. When a pleasure boat pulls onto the ramp and then starts to get his boat ready for the next 15 minutes… It usually happens at the end of the tournament when your are trying to get the your bassboat out for weigh-in and involves a pontoon with 36 kids and 20 coolers that are still stored in the truck. When your ” Buddy in the front of the boat parallels the bank five feet from the bank !! I think the new high school bass tournaments are great to get kids involved in fishing. That being said, I believe that it is being handled wrong. Went to Logan Martin lake in mid November of last year. I arrived at the lake quite early only to find a high school tournament with 400 boats at the ramp. Finally got on the lake and left before the high school tournament. They were sent out in 80 boat flights. Once they were all on the lake. You couldn’t go anywhere without a boat setting where you wanted to fish. They need to limit the number of boats and have them fish on more than one lake if they are going to have this many boats. Had I arrived any later there would have been no parking at the boat ramp. Also made it hard to get off the lake later that day. This could be handled much better. Professional Co-anglers. This is the biggest scam in fishing. These aren’t the people doing it to learn, they are the people who don’t want to spend the time or money to fish as a boater. They just want to show up the day of the event for what is effectively a free guide trip (they’ll be reimbursed their entry fee if they draw a boater who has taken the time to locate some fish). They have the nereve to tell their buddies they got a bad draw if their boater doesn’t share fish/waypoints or tolerate them front casting. I’m not saying they’re stupid- obviously they aren’t. Getting paid to fish someone else’s waypoints without investing a dime or a second of work doesn’t make you stupid. If anyone is stupid it’s the boaters for putting up with this. I’m all for guys learning, but there should be a max amount of years you’re aloud to take advantage of people and game the system. When you stop at a place to eat breakfast on your way to the lake and find out later that the sausage you ate was bad and then find out the toilet paper in the boat got wet from your last fishing trip and now resembles a brick. You leave on a business trip and ask your wife to plug the boat up so it will be ready when you get back. When she goes out to the boat she decides to clean it up a “little” and ends up rearranging everything so it will be organized for you upon your return. What’s worse than not being able to find anything is the fact that you cannot say anything to her because she thought she was doing you a favor. When it’s a really cold night and you feel sorry for your Labrador Retriever and you let him spend the night inside the house and wake up the next morning to find out he thinks your lifetime trophy bass that was hanging on the wall makes a great chew toy! I think its buuuullshiiiiiiiz when the pros decline to comment on which plug, trap, craw, worm, etc, they used to crack the top 5. If it was good enough for them to cash a big ol check with, its good enough to give it a shout out. 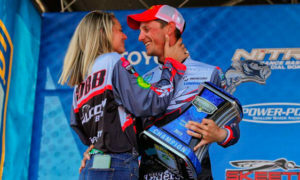 If he was using something other than his sponsors lure, most sponsors understand that’s just part of the game. People (well known pros, outdoor writers and TV commentators included) who are stuck on the word “flippin'” when the technique they are using is PITCHIN’! It is sad that we have lost the true meaning of the flipping technique, where the reel is always ENGAGED! (except for periodic line length adjustments) I have plenty of evidence of this if you need it, Jay, and names of people and TV show specifics. I do however realize the English language is constantly evolving, changing, but we are gradually losing the true meaning of flipping. The reason I believe the “flippin'” word is used extensively in place of “pitchin'” is because of the recent popularity of it. Shows like “Flip This House” and “Flipping Vegas” encourage the use of the word and it is probably just a word that in this day and age is more fun and trendy to say. If you have any suggestions on how to explain to the masses the true meaning of “flippin'”, Jay, please tell me, and also maybe you can write an article or several about it. 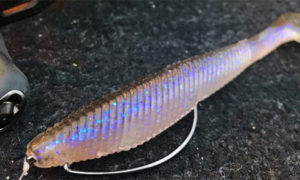 I have posted my thoughts on a few websites and even made some custom decals which say, “Regarding lure presentation, Pitchin’ is NOT Flippin’!” Please help with my crusade. Thanks, Jay. 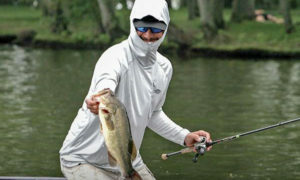 Bass pros looking like Justin Bieber with those goofy looking flat brim hats!